A rookie idol known for her soft, cute smile who was accepted into Starlight School in April. She is a sweet, yet unexpectedly firm girl. 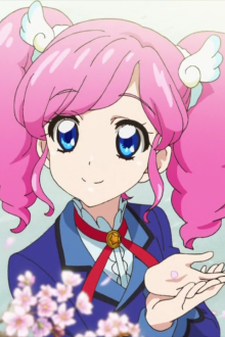 Madoka is the granddaughter of Angely Sugar's top designer, Asuka Amahane. She loves the dresses her grandmother makes and thus Angely Sugar is her preferred brand.